Some patients who begin chiropractic care in Phase One discover a restoration of their spinal curves and improved range of motion. Spinal decay is a process. Whether you take three snapshots of the process or twenty-three snapshots, it’s a process. We use the three-phase model based on the book Managing Low Back Pain, by W. H. Kirkaldly-Willis and Thomas Bernard, Jr., plus Anatomico-Roentgenographic Studies of the Spine, by Lee A. Hadley, M.D. We find that it makes the differences between each phase great enough so our practice members can appreciate what they’re seeing. 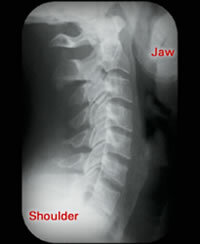 This would be considered a textbook “normal” side view of the neck. 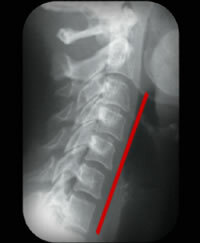 While this process can occur anywhere in the spine, it’s easiest to see in the cervical (neck) spine. This is what the side view of the neck should look like. From the side, the neck should have a graceful forward curve. The edges of each bone are well defined. There should be equal disc spacing between each bone and the openings for nerve roots should be clear and unobstructed. The first thing you notice is a loss of the normal cervical curve. In Phase One there is a loss of curve and a reduced ability to turn and bend. 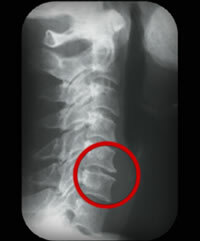 In some cases, the disc space between adjacent vertebrae may be reduced. Or, discs can become wedge-shaped, inviting more serious soft tissue damage. Depending upon your body’s adaptive capacity, pain or other obvious symptoms may not be present. Even the resulting reduced range of motion may be too subtle for many to notice. Adjacent joint surfaces become rough and uneven. If neglected, in Phase Two, joint surfaces lose their clearly defined edges as the early signs of bone spurs become visible on X-ray views. 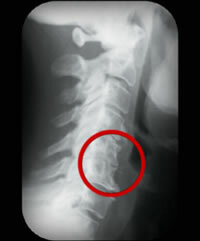 Some believe that the body senses the accompanying inflammation as the sign of a broken bone. It begins the process of depositing calcium salts. Without being in a cast to prevent movement, fusion doesn’t occur. The affected bones have lost their individuality and ability to move. This process can take years. Its presence calls into question the claim that many practice members make that they were “…fine until last week when I bent over to tie my shoes.” That’s not what the X-rays tell us! 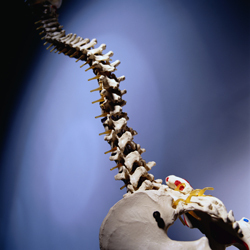 Some practice members who begin chiropractic care in Phase One discover a restoration of their spinal curves and improved range of motion. Success with Phase Two practice members is less predictable and depends on many factors. While we can do little after decades of neglect with Phase Three cases, we instead turn our attention to those areas of the spine that have not yet been lost to the process.